The chance visitor who honours my blog with his/her interest may wonder why I have written so little over the last couple of years. I have to apologize but the reason is that I changed course: I’ve been a full-time translator for more than 3 years now. Or sometimes not absolutely full-time: I’ve been having a student for several months now, who enjoys our lessons so much that she hopes to be able to come back after the summer. Before her, I also had a young man for a number of English lessons, who also enjoyed working with me and is now working over in the States on a contract. These two experiences have drawn my attention again to the nature and state of English language teaching in the Netherlands, where a large majority of people profess to be able to speak very good English, although this often seems to be an exaggeration to me. With young people, there seems to be less of a problem because they are mobile, outgoing, and often decide to have time (and the means) to travel or live abroad extensively, and they pick up excellent English on the way, whatever teaching they were given at school before. However, getting over that ‘intermediate plateau’ in English is a completely different problem for those older people who still have children to bring up and/or job commitments to fulfil. Often, it is precisely that job commitment that would make it imperative, or at least very advisable, for them to speak better English than what they remember from their school days. With the Netherlands being what it is, that is, a trading nation, most of such people are in professions and those professions are mostly in trade. A seemingly sweeping suggestion but I have no doubt they are a large part of learners on the market. Several people have approached me from my profile still present on the national “Marktplaats” web-site over the years and they always claimed having received little or too distant education at school. Such people are, however, very particular in their (real or perceived) needs. They do not want to learn any English – they want to learn English that is useful for them in their profession, however limited in scope that may be. This poses the question of material to be used with them. And there is the rub, as I already pointed out much earlier in this blog: because schools find it easier to order students books en masse from publishers either from specialized Dutch publishers (at orbital prices, but who cares about that when they’re convinced they get the best stuff?) or from British (or, perhaps, from American) publishers. Students only stand a chance of getting authentic material in the latter case, but from experience I know that even listening materials published in GB is lab-recorded and I’m sorry but I can’t consider that authentic in the sense that reading out a script can’t ever sound the same fluent language as that spoken in reality, in the street, shops, over the telephone talking to clients or talking to colleagues or bosses in the staff-room etc. A point in case is that when I and a few other colleagues had recorded several interviews of students and teachers in British schools in the late 1990’s for a group project with the BC, the publisher of the book later decided to script some of it, re-recorded the interviews in a lab and only published that version. They were scared to publish the originals, claiming they would not be marketable as they contained too much noise. The noise was actually the same anybody present at the recording would hear and which is a natural circumstance in all cases when one speaks to anyone anywhere. But to use it for teaching? Oh, no, that’s impossible, they said. Even though several of the group of teachers in the project did exactly that in their own classes, with success. But back to the issue of specialized material. Older professional people here have to hear how it is spoken in their reality. And they insist that they learn what they need in their profession, not elsewhere and not what people speek while shopping, let alone in their kitchens. They don’t want to talk about music, or films, or politics, they want to talk about their own industry or trade and only or at least mostly use the vocabulary pertaining to their own area. They do not “have all the time in the world” for that, as young people tend to believe they do. But how can a teacher get such materials in the Netherlands? Sadly, no market exists in the Netherlands for language learning materials because of the behaviour of schools. A teacher faced with such needy students have to find material abroad, taking a chance at buying perhaps unfamiliar material over the net or travel to GB if they want to sample the listening material for the book or peruse that one book that looks suitable for the needs of the student. 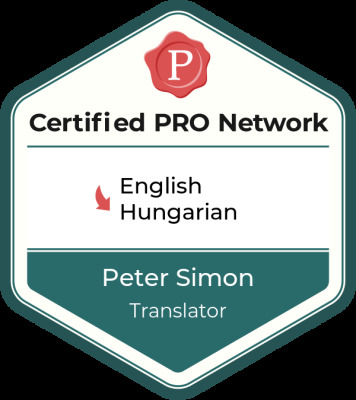 I am fortunate: I only had to travel back to my home in Budapest and grab what I used to teach to professionals on various courses. I had bought them quite cheap back in the late 1980’s and the 1990’s, when the market really opened up in Hungary. Back then, numerous and various course books appeared in excellent quality and with reasonable listening material already on CD’s that are still useable. Unfortunately, cassettes are out of fashion by now so only the most staunch conservatives would still use cassette players, but I have to admit that I have the best listening material with the closest sound to authentic only on cassettes – this is no place for advertising, especially because my guess is that the material is already off the market, but I have to extend my thanks to the authors and publishers of the books called ‘Notions in English’ and especially ‘Functions in English’. I don’t mean it in the way you get it googled (in the best of cases you get to this page (for teachers), or to this page, or to this page, which, in its first group, actually lists those functions addressed and tackling of which students get to fluency in the easiest possible way), but the books so called and issued some time in the late 1970’s in GB by OUP, if I’m not mistaken. Well, these two books don’t appear on the net any more so I think when I retire, I’ll sell them on “Marktplaats” to somebody who can really teach. Or rather, in Hungary, where I’m sure young, enthusiastic teachers would be glad to acquire them and digitalize the cassette materials. As to the professional materials (about business and trade) I’ve already brought over here, I’ll try to sell them to the only bookshop worth its mettle I know, one in Amsterdam, which seems to lay an emphasis on promoting books imported from abroad. But for the time being, I’ll still go on using them with this one student. The CD’s to go with them are good enough.